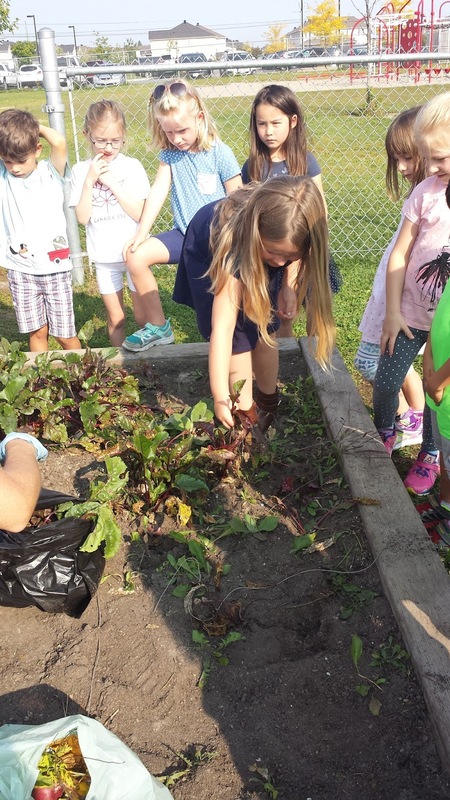 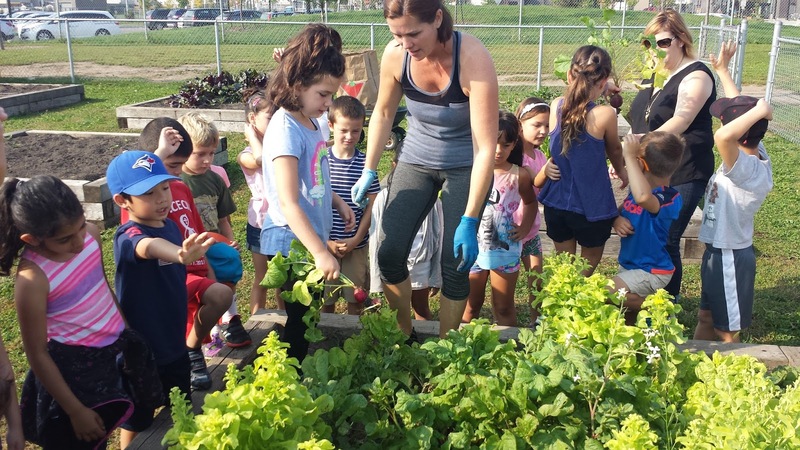 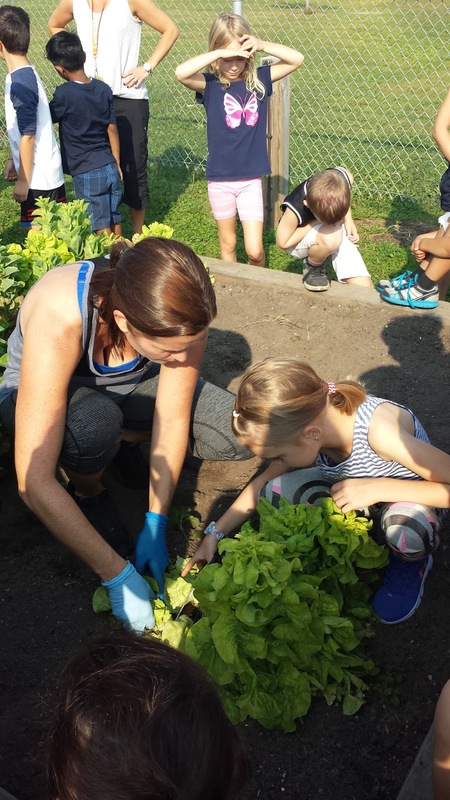 Sharing St. Cecilia's School Community Garden: That's a Wrap for the Summer 2017 Season! 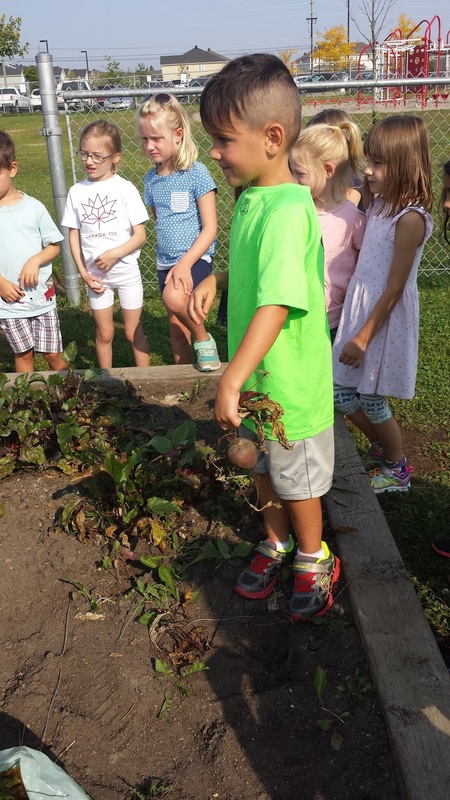 Last week, we had at least 16 classes come through the gardens to help harvest the crops that were grown and learn about them. 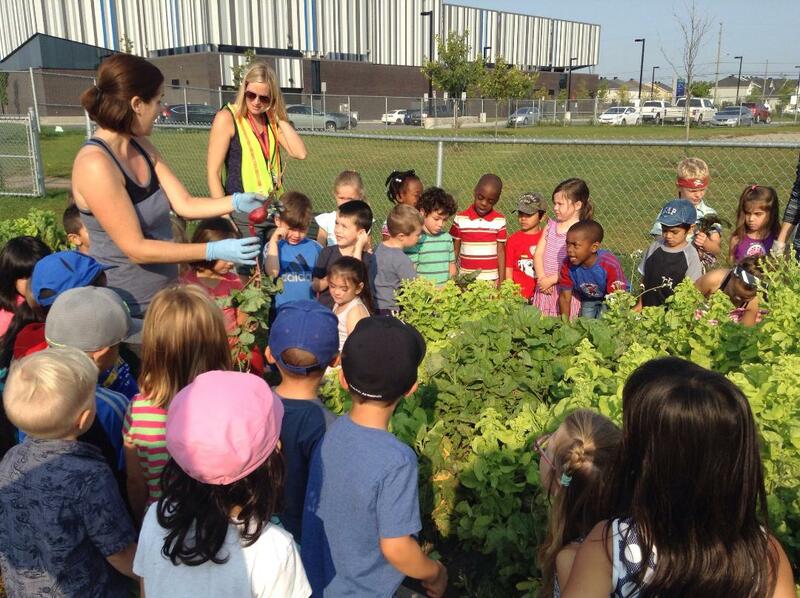 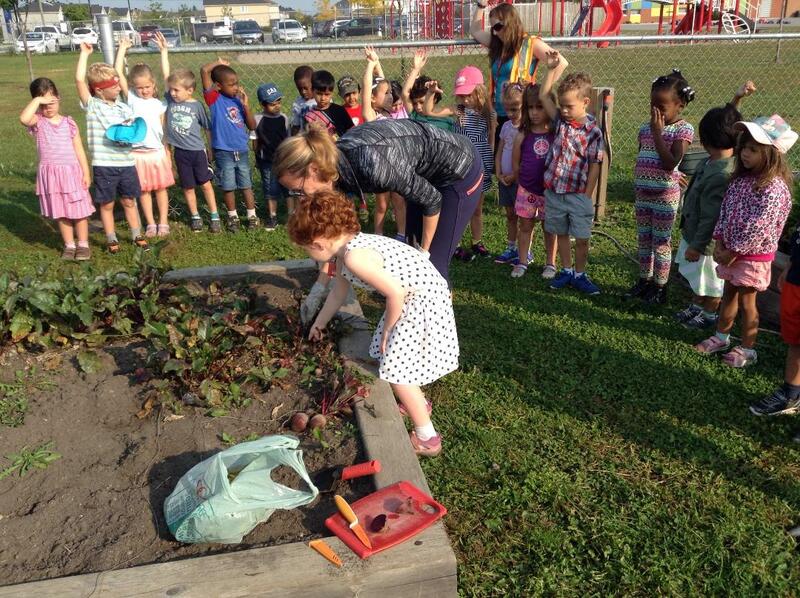 It is fantastic to see such great engagement and use of our school gardens to enhance and further our children's learning! On Friday, we had 12 classes rotate through each garden and we talked about what makes a crop a root vegetable (something that grows in the ground like our beets, radishes, carrots and potatoes) versus one that is not (something that grows above the ground like our lettuce and kale and pumpkins). Each class got to take a big bag full of various crops and we were happy to see many tweets of classes exploring them further in the classroom later that day. It was so rewarding to see this whole project come full circle and to see the students engaged and interested in the process. We are also considering perhaps growing rapini and garlic over the winter months which would be ready come spring. I had no idea that this was how they grew but we have a connection for seeds and may be able to make this happen if some classes/teachers are interested - so stay tuned for that!